Artists hoping to get paid when their work sells for millions of dollars at auction may be out of luck—at least in the US. On Friday, the Ninth Circuit of the US Appeals Court essentially struck down a California state law that required fine artists to be paid royalties when their work is resold. The three-judge panel said that the law, called the 1977 California Resale Royalties Act (CRRA), is pre-empted by the federal Copyright Act. The decision brings to an end a seven-year legal battle over resale royalties, which offer visual artists a piece of the profits when their works are resold by galleries or at auction. 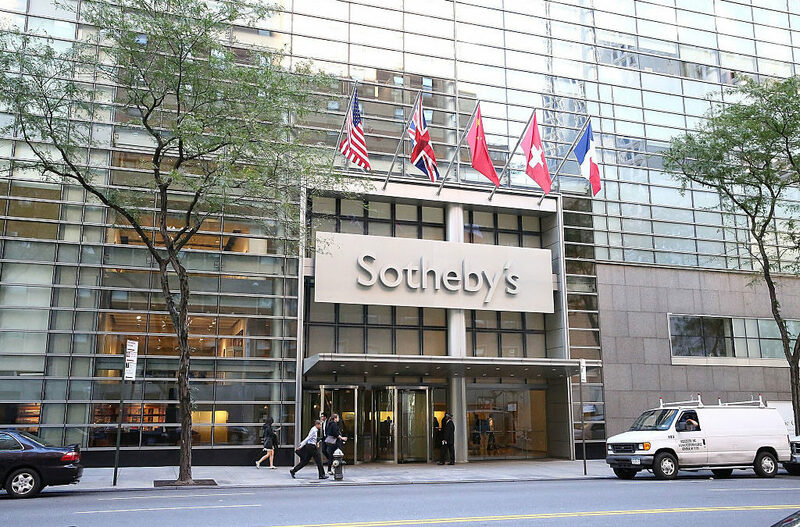 In a now-apocryphal tale, the debate over royalties is said to have begun when the artist Robert Rauschenbergpunched collector Robert Scull after he made a hefty profit selling one of his works at auction. Rauschenberg would go on to advocate for California to adopt the Resale Royalties Act, the only law of its kind in the US. Under the CRRA, artists were entitled to five percent of the resale price of their artwork—under certain circumstances. The law applied only to works sold in California or sold by a California resident. Some argued that the law unfairly constrained California’s art market. The latest ruling all but nullifies the law by limiting its scope to a one-year window. Now, only works resold from January 1, 1977, to January 1, 1978, when the Copyright Act became effective, are eligible for the royalty payment. The court ruled that royalty claims made after January 1, 1978 “were expressly pre-empted ” by the Copyright Act—which does not recognize an artist’s right to resale royalties. “I’m not surprised, but I’m disappointed,” Dill told the San Francisco Chronicle. Artist Chuck Close. (Photo by Michael Loccisano/Getty Images). The 30-page decision includes information about the history of art resale rights—both in the US and abroad—as well as details about previous and mostly unsuccessful attempts at application or enforcement. Thus far, however, the US has not recognized that right. Though the US became a signatory to the Berne Convention in 1989, “to date, it has not adopted the droit de suite. As early as the 1970s, Congress considered adopting the droit de suite as part of US copyright law, but these efforts have never proved successful.” As a result, the CRRA is the first—and, thus far, only—American recognition of droit de suite. The state law has not fared well in federal court in recent years. This is the second time the case has appeared before (and been struck down by) the Ninth Circuit. In 2015, the panel found that a clause of the CRRA violated the Commerce Clause that grants the federal government power to regulate interstate commerce. The original decision striking down the law came down in a lower court in 2012.